Valrygg is a Scandinavia based architecture, interior and graphic design studio. We are passionate about discovering and creating beautiful spaces and products. We strive for the best solutions through an engaging collaboration with our clients. 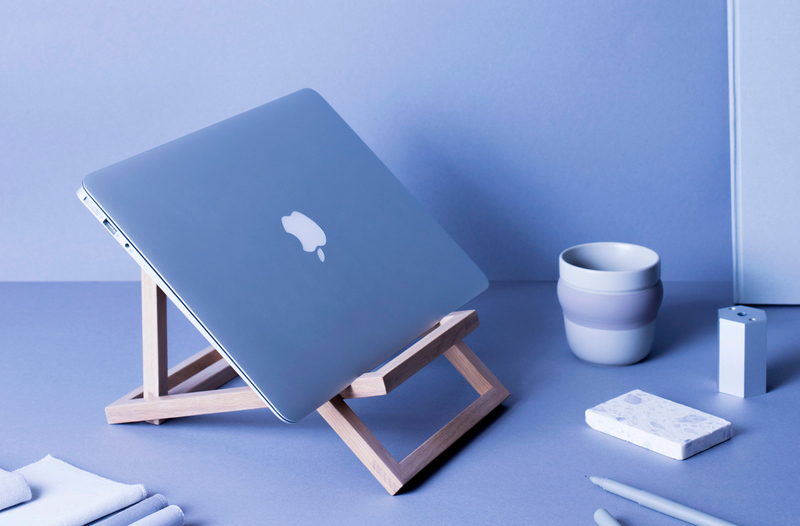 Standing is a foldable laptop stand made of oak wood. The stand fits your computer sleeve so you can bring a great working position with you everywhere.